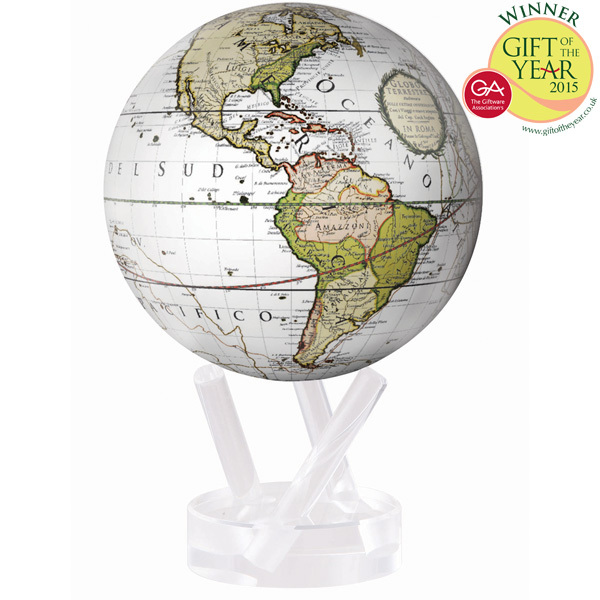 The all-new Cassini Terrestrial MOVA Globe designed by MOVA International is named the winner of Giftware Association’s Gift of the Year 2015 in the Luxury Goods category. With eco-friendly and captivating creations, MOVA International has carved its reputation as a provider of high-quality and innovative products that change the way people approach gift giving. 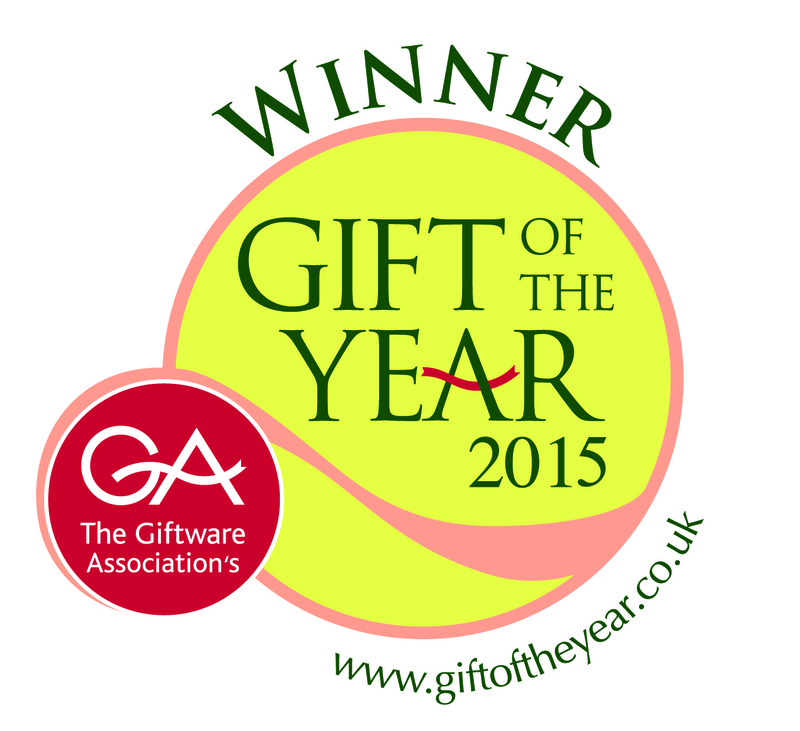 The annual Gift of the Year event is the UK’s largest annual competition for the gift and home industry that reviews the latest, most original products on the market and strives to boost the profiles of manufacturers in the industry. Awards were presented February 1, 2015 in Birmingham, England in 20 distinct categories and decided by a panel of 20 judges covering every sector of the industry. The Cassini Terrestrial MOVA Globe was judged on a set of criteria that assessed its design innovation, quality of manufacture, sales potential, presentation and packaging, customer appeal, retail profit potential, marketing support to the industry, and overall “WOW” factor. The Cassini Terrestrial MOVA Globe is the first MOVA Globe to feature an authentic historical map. The old world map was produced by Giovanni Maria Cassini in 1790 and chronicles the three voyages of Captain James Cook, along with his observations, routes and theories. With a lovely palette of forest colors, precise cartographic elements, and a captivating rotation powered by ambient light, the Cassini Terrestrial is the perfect balance of antique grandeur, environmental consciousness and contemporary style. This rare balance makes it an effortless luxury gift that’s tasteful yet entirely different from any other item in the premium market. With such eco-friendly and captivating MOVA Creations, MOVA International has carved its reputation as a provider of high-quality and innovative products that change the way people approach gift giving. The company is now experimenting with new designs, sizes and shapes and are on the lookout for new artists to collaborate with to develop even more captivating creations like the Cassini Terrestrial. 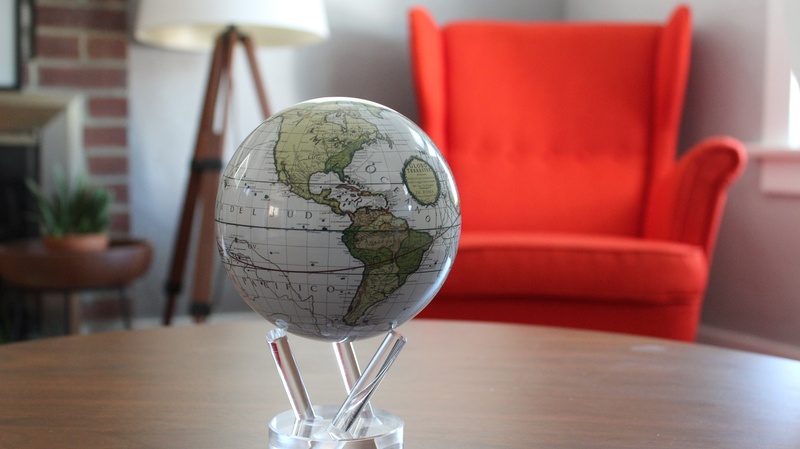 For more information about the Cassini Terrestrial MOVA Globe, visit the company’s website at http://www.movainternational.com. MOVA International was founded in 2003, with a dream to take advanced, environmentally friendly technologies and recreate the magic and peaceful motion of Earth. They strive to provide beautiful luxury home décor products that remind everyone of the calming nature of our planet and embody the perfect nexus of science and art.